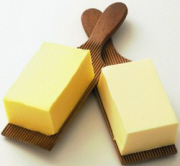 Butter is made from animal fat. This is unlike margarine which is made from vegetable oils. This therefore means that butter will contain cholesterol whilst margarine does not contain any. Also, when you compare between the two, margarine is higher in monounsaturated and polyunsaturated fats which are considered to be the "good" fats. However, this does not mean that margarine is way better than butter. It all depends on how it would have been manufactured. Some brands of margarine may actually be worse than butter, if you are considering the health aspect of it. Over the years, butter was considered to be the villain whilst margarine was the "good guy". This was due to this saturated fat content issue. 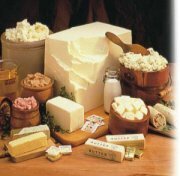 Studies have however shown that during the hydrogenation process of margarine can create trans fatty acid compounds which are detrimental to one's health. For this reason, some spreads which resemble margarine have been manufactured which do not contain these compounds. One of the advantages of having polyunsaturated and monounsaturated fats over saturated fats is that they help to reduce the levels of LDL cholesterol (which is coined the "bad" cholesterol). 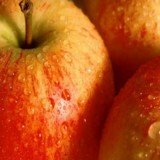 By doing so they will be increasing the levels of HDL cholesterol. And yes, you've guessed it; the "good" cholesterol. Saturated fats and trans fats have some things in common. One of them being that they increase your blood cholesterol levels. When this happens, one will be at the risk of conditions such as heart disease or stroke. Also, trans fats reduce the levels of HDL cholesterol, which in essence over the long run will be working against your body and health. Having said this, what is really important is take extra care when you are eating these "fatty foods". We are not saying saturated fats are completely bad. What we are saying is that there should be a balance between the ratio of polyunsaturated, monounsaturated and saturated fats. You may still consume butter or margarine if that is what you fancy but watch your portions and quantities. Make sure you keep your saturated fat intake within your recommended daily allowance of about 20mg. (And mind you, it's 20mg for the whole day and not on a particular meal). So just watch what you eat in order to maintain a healthy eating lifestyle. When you choose your spread, be it butter or margarine, pay close attention to the nutrition facts. And pay even closer attention to the amounts of total fat, saturated fat, trans fat, cholesterol and sodium. We will now take a look at some butter nutrition facts. The percent daily values (DV) are based on a 2,000 calorie diet. Your values may be higher or lower depending on your daily calorie needs. Butter nutrition facts ingredients for Land O' Lakes include milk, sweet cream and natural flavoring. Unsalted butter is just the same as salted butter, only that it does not contain sodium (salt). It is a source of Vitamin A, providing you with 8% of your recommended daily value. It is somewhat high in calories, obviously considering this is mostly fat!However, the good thing is that it does not contain any sodium which when consumed in high amounts can lead to adverse health effects. It's apparent that 1 stick of salted butter nutrition facts reveal that it is high in calories, total fat, saturated fat, cholesterol and sodium. It however is a source of Protein, Calcium, Riboflavin, Magnesium and a couple of other minerals and vitamins. It is also a good source of Vitamins D, E and K as well as being an excellent source of Vitamin A and Phosphorus. 1 tablespoon of butter nutrition facts show that it is more or less the same as 1 tablespoon of unsalted butter, only that it contains sodium. 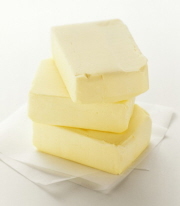 1 cup of butter nutrition facts reveal that it is high in calories. This is especially helpful information for those who love to bake. If your recipe requires this much of butter you may consider reducing the amount of butter. This is because of the high calories that will come with this, not forgetting the total fat, saturated fat, cholesterol and sodium. However, despite all this, it is a very good source of Vitamins D, E, K and an excellent source of Phosphorus and Vitamin A. You may need to weigh the pros against the cons here.